TJ Hughes is to reopen its store in Middlesbrough’s Captain Cook Square, it has been confirmed. The move comes almost exactly a year after the store closed its doors, following the retailer’s collapse into administration. 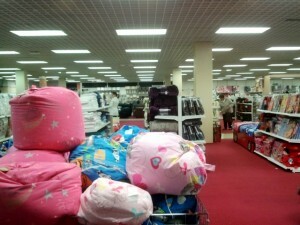 At the time, Lewis’s Home Retail rescued six of TJ Hughes’ 57 stores – including Newcastle, and the Liverpool flagship – but Middlesbrough missed out, despite reportedly being profitable. After sitting empty for several months, there was good news when the premises were taken over by NUT Outlet Ltd in February this year, with many of the ex-TJ Hughes staff re-employed. 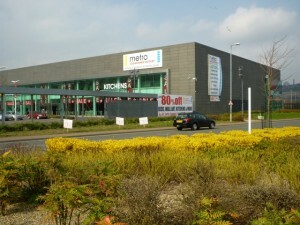 Operating under the Metro Outlet fascia, and specialising in furniture and homewares, the Middlesbrough operation sought to build on the success of NUT’s Metrocentre store, housed in the vast building that has seen both the M&S Lifestore and ILVA come and go. 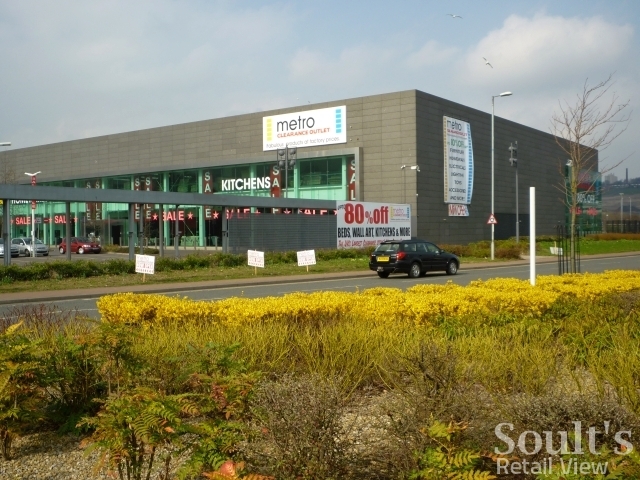 In the last two weeks, however, Soult’s Retail View readers had alerted me to the fact that Middlesbrough’s Metro Outlet was seemingly holding a closing-down sale, less than six months after its arrival. This raised the question of whether another tenant – or even the reincarnated TJ Hughes – was already waiting in the wings. Indeed, fashion magazine Drapers had reported back in March that TJ Hughes’ new owners were looking to open three new stores in 2012 and eight in 2013, some of which were likely to involve a return to previously closed locations. More details of the reopening are expected to be announced in due course. 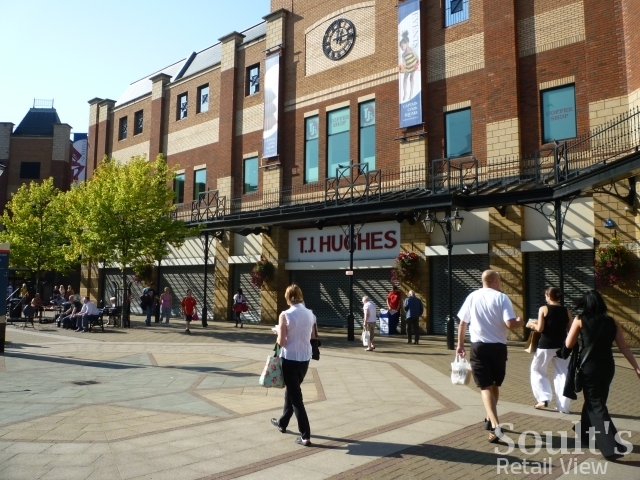 While Metro Outlet has been a welcome addition to Middlesbrough’s retail scene – particularly at a time when many other towns’ TJ Hughes sites remain vacant – the return of TJ Hughes is undoubtedly good news for both Captain Cook Square and Middlesbrough town centre as a whole. With its broader product offer and familiar brand, TJ Hughes will provide Captain Cook Square with a strong anchor and footfall driver, and should also reinforce the shopping centre’s appeal as a value destination, complementing the established Wilkinson and Poundland stores as well as the recently opened Poundworld in the ex-Peacocks. It’s also something of a coup for Middlesbrough that it is, as far as I’m aware, the first of the 51 closed-down TJ Hughes sites to be reopened by the business’s new owners. Amid the difficult economic conditions, it adds to a sense that Middlesbrough is weathering the storm better than many other places. Captain Cook Square, for example, has just one vacant unit, while 99p Stores, Poundworld and the fashion retailer Select (in the ex-Currys unit in Linthorpe Road) have all having opened stores in the town in the last few months. 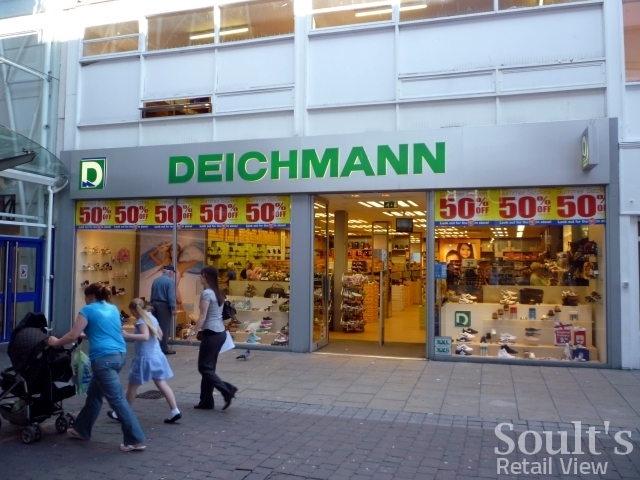 These will soon be joined by the German footwear chain Deichmann, which already has an established store in Sunderland and a recently opened flagship at Metrocentre, and is preparing to open in the ex-Temp by Bodycare unit at 72 Linthorpe Road, near to BHS. 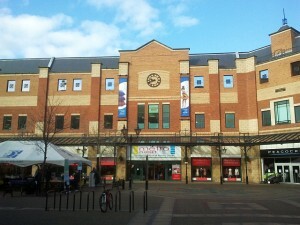 You have to wonder whether the town centre’s relative good shape was a factor behind the recent rejection – albeit narrowly – of Middlesbrough’s Business Improvement District proposals, which would have seen town centre businesses investing in improvements similar to those implemented by Newcastle NE1, Newcastle’s own BID company. 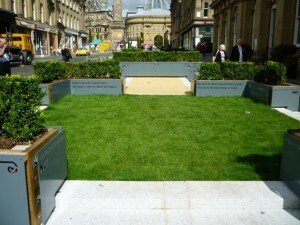 Though not all the city retailers I speak to are enthusiastic about Newcastle’s BID, there’s little doubt that Newcastle NE1’s initiatives – among them Alive After Five (everyday late-night opening), Monument Movies and Quayside Seaside – have been inventive and eyecatching, and have struck a chord with the city’s shoppers and visitors. Whether it has a BID or not, Middlesbrough town centre needs to make sure that it too offers people an engaging, distinctive and uplifting experience. 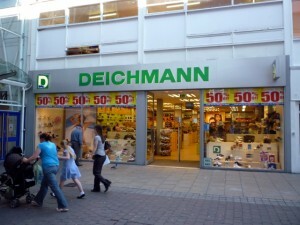 Having shops opening and investing in the town centre is an important part of that equation, but it’s creating a sense of theatre within the town centre – something that cannot be easily replicated on a retail park or online – that will truly keep shoppers coming back and the retailers’ tills ringing.